Our second interactive e-magazine of the season is, well, hot off the press, and heading to some 2,000,000 golfers worldwide this week. What’s all the excitement? It’s the Masters, of course, which is about as exciting as it gets and annually sets our blood a-pumping for the symbolic start to the golf season. 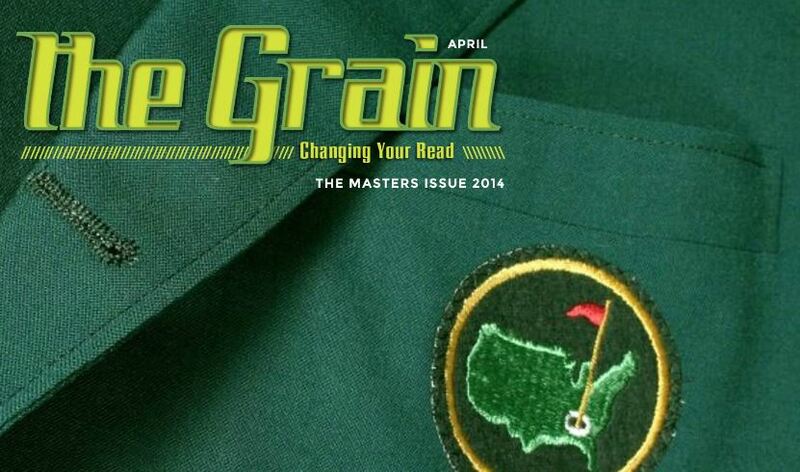 Head to the new Masters issue of The Grain here, for pieces that will let you know what to watch for, how to handicap the action, ponder what’s on the menu at the Champions’ dinners, consider a superintendent’s take on Augusta National’s conditioning, and review the relationships of U.S. Presidents to the club. Those considering a visit to Georgia will want to read up on the charms of nearby Reynolds Plantation. And just for fun is our A List of golf pieces we would like to see, with April Fool’s Day on our minds. In the audio-visual department, Peter Kessler talks with 1991 Masters champion Ian Woosnam, the Golf Road Warriors descend on Casa de Campo, and in a “talking truth to power” podcast, the golf curmudgeon Hal Phillips enlists TAP writers David DeSmith and Tom Bedell to tell it like it is about Augusta National and the Masters. Whether this will put them on the infamous Bikini Wax list with Gary McCord and Jack Whitaker remains to be seen.